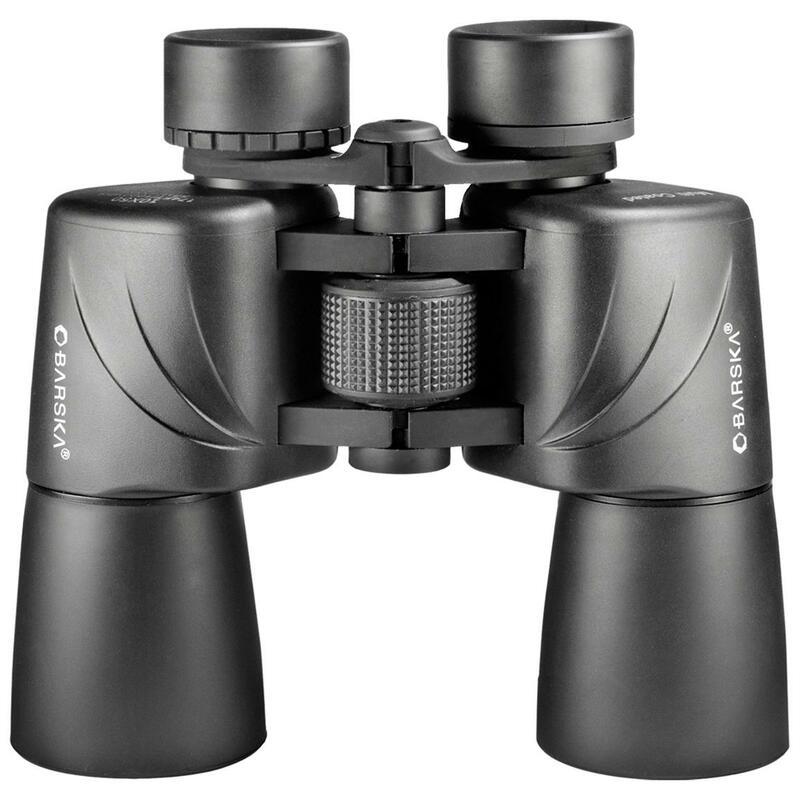 Barska® 10x50mm Escape Binoculars. Terrific quality, AFFORDABLE PRICE! For all things outdoors, make your great Escape with the killer views and sharp clarity of this pair! The increased light-gathering ability of their larger objective lens translates into greater detail and image clarity... especially useful in low-light conditions. And the low price speaks for itself. F.O.V. @ 1,000 yds. is 366 ft.
Close focus is 32 ft.
Weighs 32 ozs. Includes carry case, neck strap, lens cover and lens cloth. 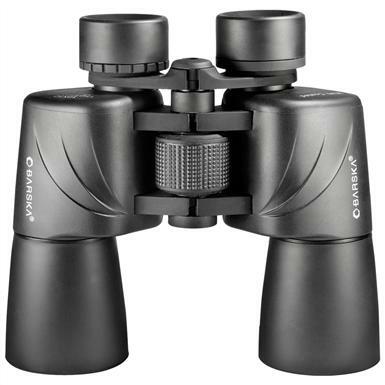 Barska 10x50mm Escape Binoculars is rated 4.5 out of 5 by 2. Rated 4 out of 5 by JERRY from have not used this pair much yet, but have another pair that I have used for seven years and they are as bright and clear as the day I bought them. Good deal for the price, would highly recommend. Extra-wide field-of-view of 367' @ 1,000 yds. Sleek design and waterproof, rugged performance ideal for wet conditions.